Since 2008, EFIK’s program is delivered in different languages: French, English and Nepali. This multilingual education is a preparation for our world where many linguistic contexts coexist. Nepal is a revealing example. This multilingual education is not just about learning a second or a third language. The time allocated to language learning goes beyond this framework because we teach certain subjects in English (EMILE teaching). For example, courses in science, geography and the arts may be held in French or in English. Beyond the educational angle, multilingualism is akin to a way of life that naturally finds its place in our pluralistic societies. 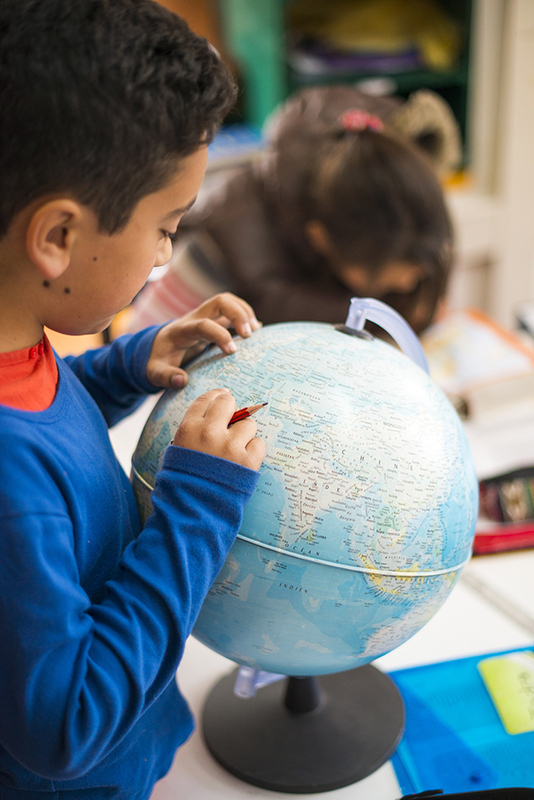 In addition to language proficiency, we want to offer our students possibilities of development, to diversify learning strategies and to prepare them for the best possible way to succeed in a school career that meets the needs and demands of our world. EFIK students can also benefit from internationally recognised certifications of language. The DELF-Primaire (a diploma for Elementary French) is offered by the Alliance Française of Kathmandu, as is the YLE (Young Learners English) through the British Council. Both are certifications recognised by the CECRL (Cadre Européen Commun de Référence pour les Langues) that attest to the level of competence of language acquisition. Starting from Moyenne Section (Lower Kindergarten), students have a weekly session of 45 minutes to be initiated to Nepali language.